Yes! Pumpkin for you face! Pumpkin is amazing for your skin! This time of year, is all about Pumpkins. Summer is filled with peaches, plums, nectarines, etc. They are summer fruits, but fall is filled with other fruits, namely Pumpkin. (I searched Google, and that is how I know Pumpkin is a fruit). Now, I am not personally a huge fan of pumpkin in my drinks, but I am all about putting it on my skin! And my clients’ skin! First, it just smells yummy! I mean, pumpkin pie smell on your face? Yes please! In fact, many of the seasonal and festive ingredients we love to eat and smell are often great for the skin too. 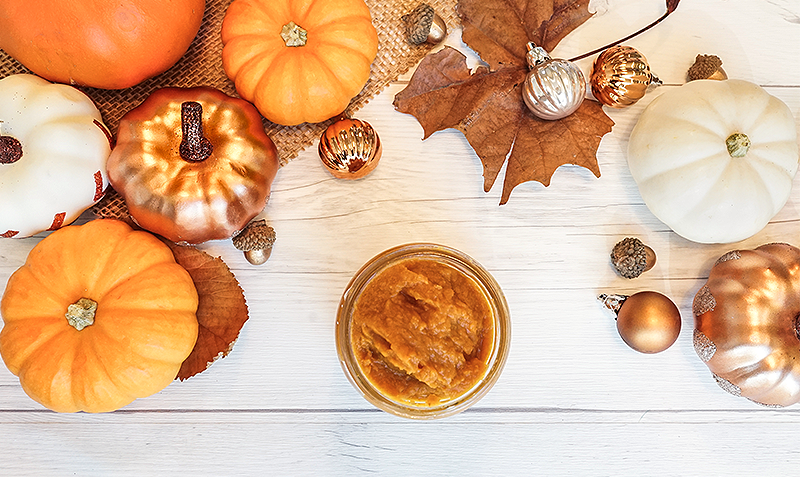 Pumpkin is actually chock full of things that are corrective, soothing, and anti-aging. 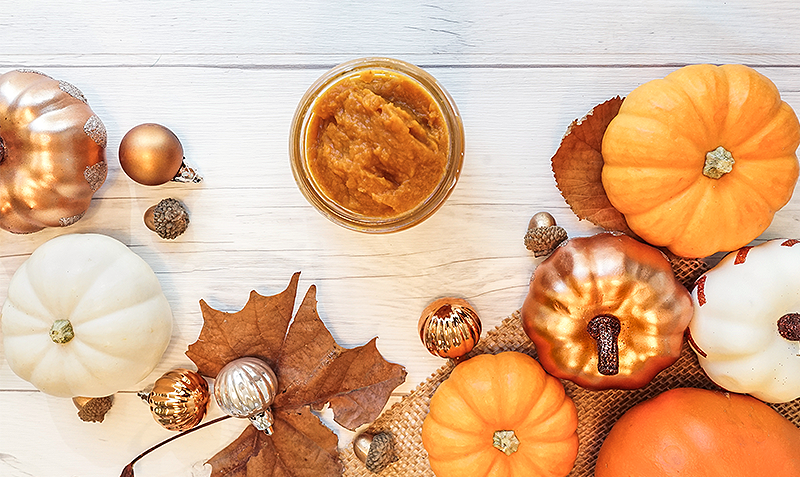 So, aside from smelling amazing and putting us in a cozy autumn mood, what are the benefits of using pumpkin on the skin? Pumpkin is filled with quite a long list of active properties that are well known for producing beautiful, soft, supple skin. For starters, it has Natural Fruit Enzymes and Alpha Hydroxy Acids (AHAs) which work to exfoliate dead surface cells leaving the skin soft and silky smooth. These enzymes and AHAs reduce the appearance of fine lines, improve skin texture and allows other topical nutrients to be better absorbed. They provide a healthy glow to the skin. So now you will say Yes, I want Pumpkin on my face! Pumpkin is also rich in Vitamins A and C. These powerful antioxidants soften and smooth skin while also boosting collagen production and working to reduce the visible signs of aging. Vitamin A specifically helps to decrease wrinkles, remove brown spots and help reverse sun damage. Vitamin C helps boost your body’s immunity to fight off colds, the flu and infections, as well as helps fight sun damage and free radicals on the skin, preventing aging, wrinkles and brown spots. In fact many aging factors can be dramatically improved with antioxidants (both topically and internally). So putting antioxidant rich foods into your diet is beneficial in many ways for your body! Zinc is another beneficial active found in pumpkin. Zinc regulates oil production in the skin and can help decrease active breakouts as well as healing blemishes in the skin. Many skin care experts often refer to Zinc as “nature’s best healing agent,” for its acne-preventing and skin-healing abilities. Pumpkin seeds, are high in Essential Fatty Acids and Vitamin E. These properties provide moisture to the skin as well as providing a barrier to restore hydration to dry and compromised skin. Are you ready to take advantage of the many beauty benefits of fall’s favorite fruit? If you are ready Book your Pumpkin Spice facial now! 10% discount on this antioxidant filled and super yummy smelling facial during the month of October!